A few days ago Sony announced new cameras with OLED EVFs, and today they are available to buy on Amazon.com: The A99 for $2,798 (body only, will ship in October) and the NEX-6 for $848 (body only, will ship in November). 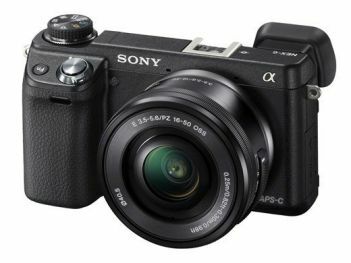 The RX1 costs $2,798 (will ship in December, we do not know about the optional OLED EVF yet). The A99 is Sony's flagship full-frame DLSR with a 24.7 mp sensor with on-sensor phase detection, dual AF system and Full-HD (1080p@60). The NEX-6 is a 16 mp mirrorless interchangeable lens camera that features Wi-Fi, in-camera apps and on-sensor phase detection.